I’m often hopping around in iTunes among the “Library”, “For You”, “Browse”, “Radio” and “Store” tabs and likewise apt to be in a specific media library, like Podcasts or Movies. As such, it can be a minor pain to get back to my local Music library. Okay, it’s only a couple of clicks. But it does elicit from me a small “arghh” burp from time to time. Save this in your home/Library/iTunes/Scripts/ folder and name it “Go to Music Library.scpt”. The script will appear in the iTunes Script menu. Then, open System Preferences and go to the Keyboard panel. Select “Shortcuts” and then “App Shortcuts” from the list on the left. Click the “+” button on the right side. In the drop down panel, select “iTunes” in the Application popup. 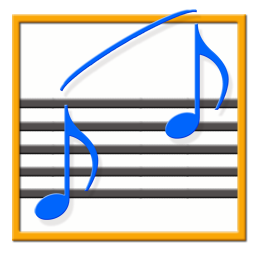 Enter the name of the script, “Go to Music Library”, in the Menu Title text field. Enter your shortcut combination in the Keyboard Shortcut text field (I use Control-Command-H, where the “H” stands for “home”). Click the “Add” button and then close out of System Preferences. Thus, whenever you want to get back to your Music library, just hit the shortcut. I’ve done something similar for my Internet Radio Station playlist.